WPW002035 WALES (1920). 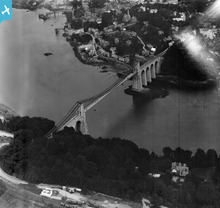 View of the Menai suspension bridge, Bangor, oblique aerial view. 5"x4" black and white glass plate negative. 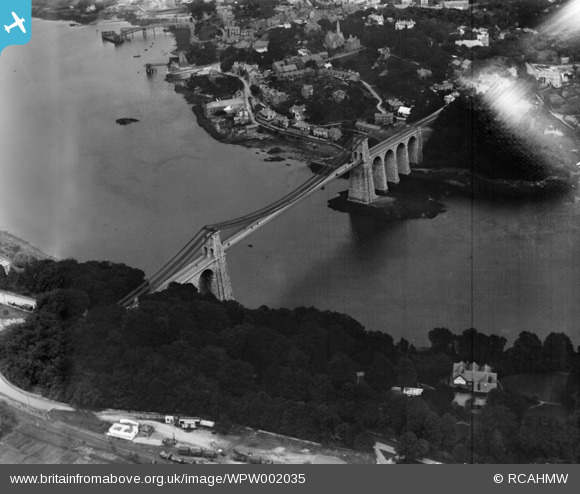 Title [WPW002035] View of the Menai suspension bridge, Bangor, oblique aerial view. 5"x4" black and white glass plate negative. 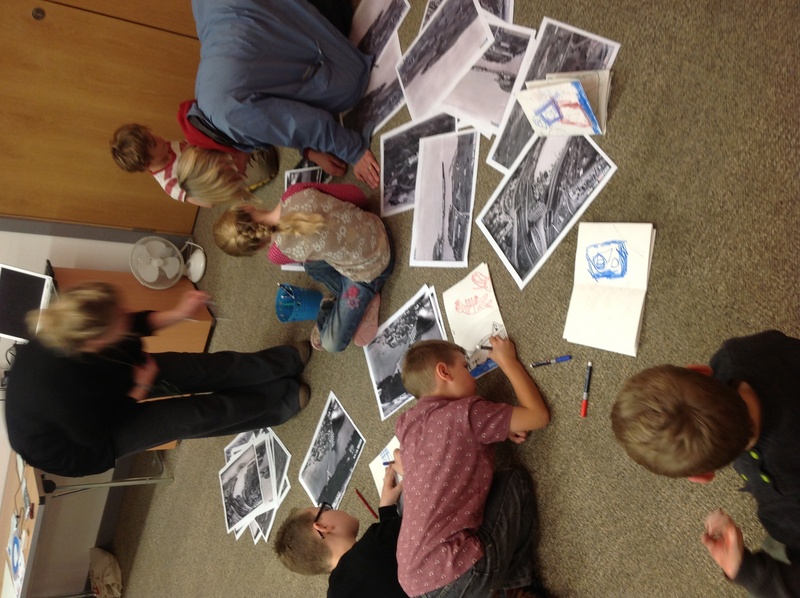 The Menai bridge- a really popular image at the Oriel Ynys Mon Big Draw Day! 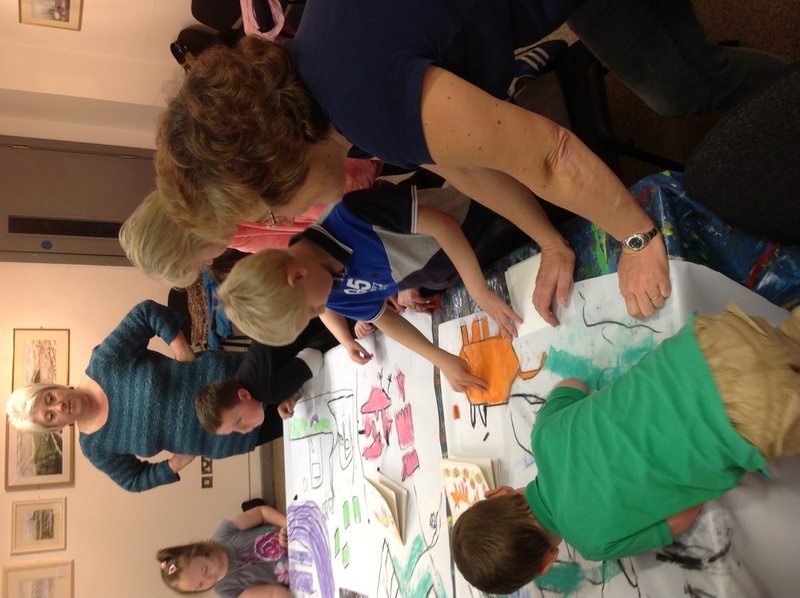 Showing off the results of a hard morning's work! 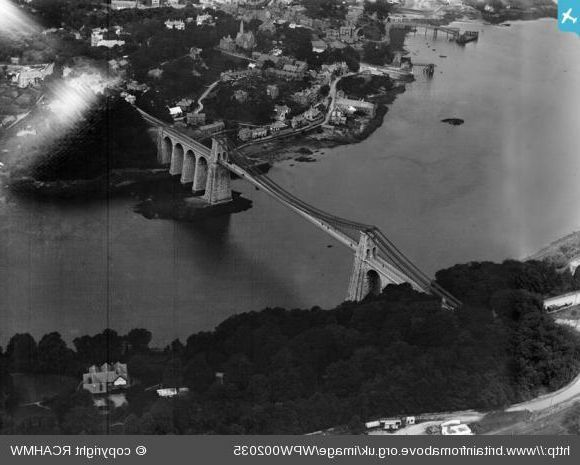 The Menai bridge, designed by Thomas Telford & completed in 1826 it links the Isle of Anglesey with the Welsh mainland stretching over 170m of the Menai Straits. Today it still stands proudly with a visit from one of the Woolly Squadron! This photo must have been taken before World War 2 as during the war my father recalled the three original wrought iron chains suspending the bridge deck were replaced with two steel chains. He was a second liutenant in the Home Guard and believed that the operation was carried out as secretly as possible in order to upgrade the weight limit from 6 tonnes in order to facilitate the rapid deployment of heavy armour in the event that Anglesey beaches were used by the enemy to land an invasion. 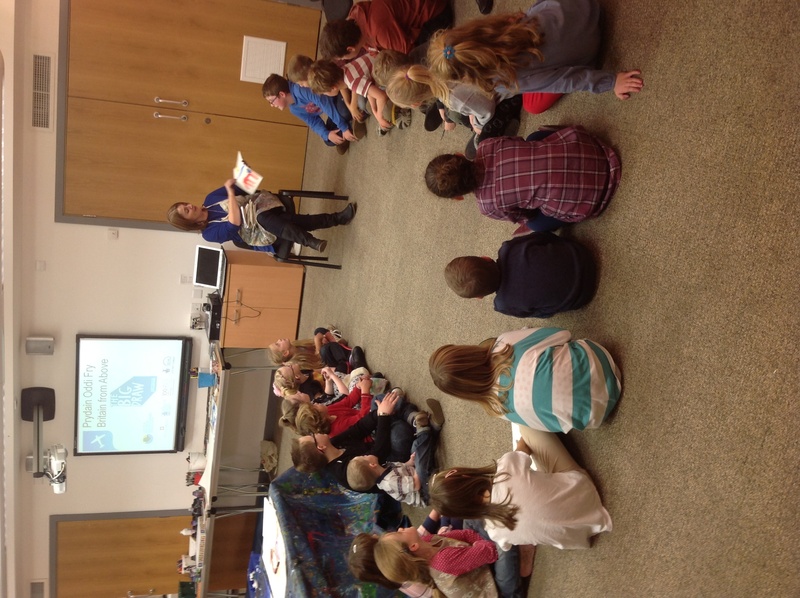 A sample link from the original chains used to be in the museum in Bangor but I haven't checked if it is still there. This image is a mirrored image. It needs to be reversed.